Large companies in the market are recognizing that standard data security no longer addresses every big data security concern. According to techrepublic.com, while companies can put controls to regulate the incoming flow of data, there are very acute security concerns that emerge once the data is placed where it can be accessed or shared. Who should be authorized to see the data in its entirety, and who within the organization needs to know some of the data, but not all of it? Conduct regular reviews of user access to data: IT should sit down with corporate stakeholders who access data and review data access permissions for all authorized personnel. When employees/contractors are no longer employed with the company, they should be immediately removed from access. Data masking: Masking can be used to edit sensitive data elements so this data isn’t shared outside of the company. Collectively, these approaches help companies with their big data governance, but it is still up to getting managers to regularly review access privileges of their employees, and to cooperate when usage abnormalities are detected. As companies continue to redefine IT processes to cope with the semi-structured and unstructured data that characterize big data, they are also recognizing that standard data security practices that grew up with fixed-record, transactional data no longer address every big data security concern. For starters, there are few controls on the mountains of big data that flow into companies on a daily basis. Big data can come from anywhere and in every form. While companies can put controls in place to regulate the in-flow of this seemingly limitless data pipeline, there are very acute security concerns that emerge once the data is in enterprise data repositories where it can be accessed or shared. Who should be authorized to see the data in its entirety, and who within the organization needs to know some of the data, but not all of it? 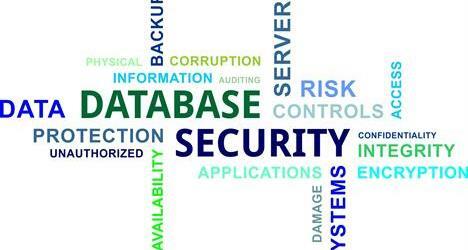 As part of big data governance, there are several security measures that companies can take. On a semi-annual or annual basis, IT should sit down with corporate stakeholders who access data from data lakes and repositories, and review data access permissions for all authorized personnel. Access permissions can be adjusted upward or downward based upon employee/contractor work responsibilities. When employees/contractors are no longer employed with the company, they should be immediately removed from access. In some cases, masking can be used to redact sensitive data elements (e.g., social security numbers, names) so this data isn’t shared with others outside of the company. Masking should especially be considered if the company wants to sell big data to third parties. Over the past 10 years, a wealth of products and services has emerged to help companies wring more value from the large quantities of data they are amassing. New entries are constantly coming on the market, while tried-and-true offerings continue to be updated with cutting-edge capabilities. Today, innovative approaches, such as Hadoop, Spark, NoSQL, and NewSQL, are being used in addition to more established technologies, including the mainframe and relational and MultiValue database systems. Cloud solutions are working alongside on-premises, the range of open source technologies is growing in addition to proprietary options, and software-defined data centers are being deployed to augment hardware-based approaches. According to the 2016 IOUG Survey on Enterprise Data Storage Trends, “Cloud Steps Up as a Data Storage Platform,” the volume of data to be stored continues to rise into the petabyte range for many organizations. The survey, conducted by Unisphere Research, a division of Information Today, Inc., and sponsored by Oracle, found that a total of 31% respondents have more than 100TB of Oracle Database data in storage, including clones, snapshots, replicas, backups, and archives—up from 28% of respondents 2 years ago. In addition, 15% of respondents now have more than 1PB of Oracle data within their enterprises—up from 10% in the previous survey. Research from CSC finds that data production will be 44 times greater in 2020 than it was in 2009, and, by 2020, more than one-third of all data will live in or pass through the cloud. And, while projections for the growing number of connected devices have varied widely, many industry estimates still put the number of items that will collect and store data at a staggering number—somewhere between 20 billion and 30 billion—by 2020. Indeed, data growth in all its varieties has been an ongoing hurdle for IT, yet today, there is no single solution that promises to answer all requirements. As a result, it is more important than ever to have the right tools for the job. Leading vendors are stepping up to help customers address their data-driven challenges and opportunities, with the associated demand for capabilities spanning self-service access, real-time insights, security, collaboration, governance, scalability, high availability, and more. To help bring these resources to light, each year, Database Trends and Applications magazine looks for offerings that promise to help organizations derive greater benefit from their data, make decisions faster, and work smarter and more securely. On the following pages, we present DBTA’s list of Trend-Setting Products for 2017. We encourage you to continue your exploration by visiting the companies’ websites for additional information. And, to stay on top of the latest news, IT trends, and research, go to www.dbta.com, and review Unisphere Research’s library of survey reports at www.unisphereresearch.com.